Climate change leading to shrinking animals? 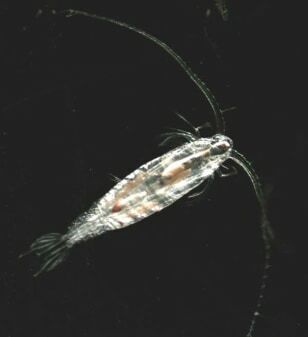 Data from many copepods, similar to this one, has given scientist insight into how warming temperatures could cause individual animals to become smaller. Copepods are tiny, water-dwelling crustaceans, and an important part of ocean food webs. This is a large, Arctic-dwelling copepod.